Partners With Sassier (Zanmi Sasye) is a not for profit organization which partners with groups in the Sassier area to bring hope, create opportunity and improve lives for the 10,000 inhabitants living here in Haiti. Since 2006, we have provided or facilitated more than $3 million in direct assistance and investment in the Sassier area. Our work builds upon and complements efforts begun in 1998 by Sacred Heart Parish in Winnetka, Illinois. Organizing a significant group of international collaborators who provide substantial financial, technical and operational support to the Sassier community. Constructing and operating Clinique du Sassier, a medical clinic providing a full range of health services to the greater Sassier community. Providing funding and technical assistance for the construction of five large, reinforced concrete primary schools, totally more than 50 classrooms; the schools provided life-saving shelter during Hurricane Matthew the completion of a 20 classroom school in Sassier. Development and implementation of a multi-pronged Agriculture Project to restore and rebuild the agricultural production and processing sector in the area. Numerous other projects including building roads, supporting local craftspeople, etc. All our Officers and Directors are volunteers and receive no compensation. Most also absorb all their own expenses for travel, lodging, etc. and contribute generously to Zanmi Sasye financially. 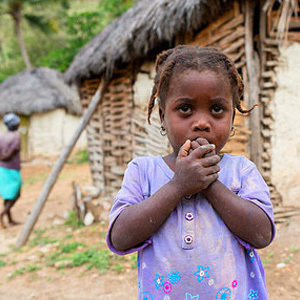 More than 95% of donations are directed to projects in Haiti that directly benefit the Sassier community. Sassier is located in the mountains of rural southwest Haiti, about 10 km (6 miles) southeast of Jeremie, the capital of Grand’Anse province. The Grand Anse is the most remote of Haiti’s provinces. The Sassier area includes Sassier itself and 25 other villages in an area of about 30 square miles, in habited by about 10,000 people. Roughly half the population is under 18. More than half the adults cannot read and write. Until the past few years, most children did not attend school. Most of the area is accessible only by foot. Life in Sassier is hard, as it is everywhere in Haiti, the poorest country in the western hemisphere. Life expectancy is less than 55 years. There is no electricity, no water, no public transportation and little infrastructure. Residents walk for up to two hours to obtain water to drink, cook, and wash. Most inhabitants engage in subsistence agriculture, and are hampered by deforestation, erosion, poor soil, unpredictable rainfall, mountainous terrain, and poor roads. Only a quarter of the land is arable. Hurricanes, flooding, and drought are frequent. Per capita annual incomes are less than $400. State institutions are weak. Economic growth is slow and erratic. Inflation, low investment, and trade and budget deficits pose persistent macroeconomic difficulties. Despite these seemingly insurmountable obstacles, the people of Sassier, in collaboration with Zanmi Sasye and other organizations, have begun the transformation of their community. In 2007, HDTV named Sassier as “the Village of Hope” in a multi-part news story about the community.